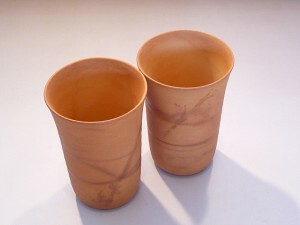 Hagi ware is pottery made in Hagi area in [W:Yamaguchi Prefecture]. In 1604, Mori Terumoto, a Japanese feudal lord, brought two Goryeo artists to Japan from the Korean Peninsula, and then built a kiln in Hagi; therefore, Hagi ware is originated from Goryeo (the present Korea) ware. 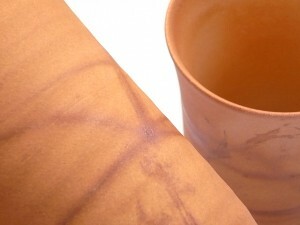 Hagi ware was especially prized by the masters of tea ceremony. The most attracting feature of Hagi ware is that it changes the design time after time. The change happens by the balance of the clay and glaze. After the pottery baked, it gets tiny cracks, and tea stains the cracks and makes designs. More it is used, it becomes tastier.